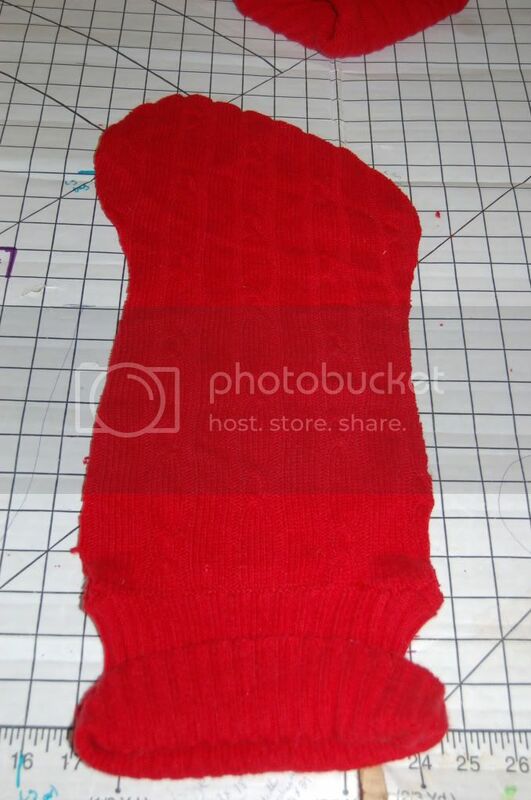 I have been working on these red sweater stockings the past couple of weeks. They are super easy and quick, but been doing other things in between. Besides, technically everyone already has a stocking. The whimsical fleece ones I did in the years past. But I really wanted cozy red sweater ones to hang on the mantel. So the 'real' stockings are already stuffed and hidden in a box in my room. Maybe these will be their fruit stocking. When I was growing up we had 2. One for the 'good stuff'...small toys, jewelry, etc and ALWAYS a coloring book (even when we were teens...it was tradition! ), chapstick (still to this day the black chapstick smell reminds me of happy Christmas memories) and Hershey Kisses. Then we had handmade patchwork stockings that held oranges, bananas and apples. Not sure if I ever ate any of it, but I was always happy they were there...part of the whole tradition and all. 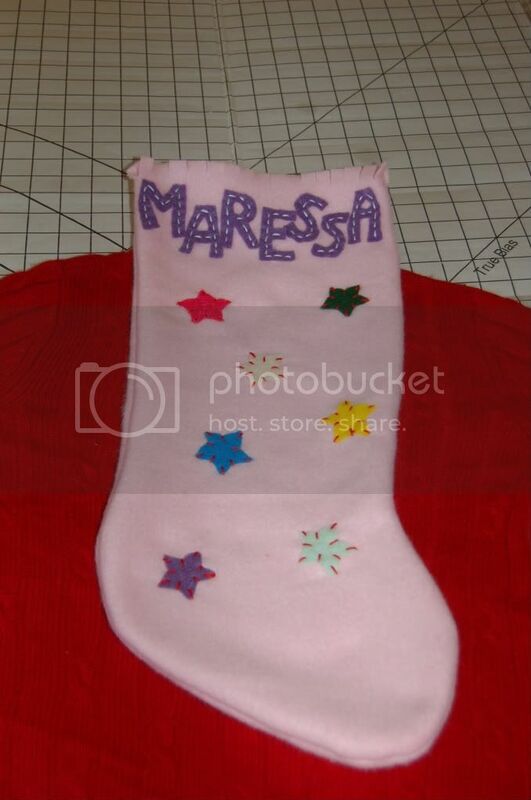 So anyway, here's the low down on making a inexpensive, quick stocking. I went to Goodwill and found 6 sweaters new with tags (they were Target XSs..our Goodwill buys all of Targets stuff they can't sell). 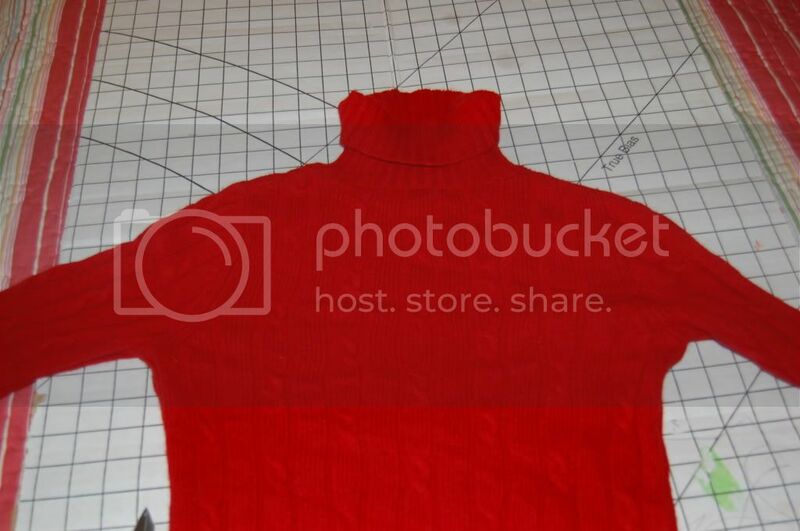 Three were turtleneck and 2 vneck and another random red sweater. All a few bucks a piece. Then I laid them down on my cutting board. 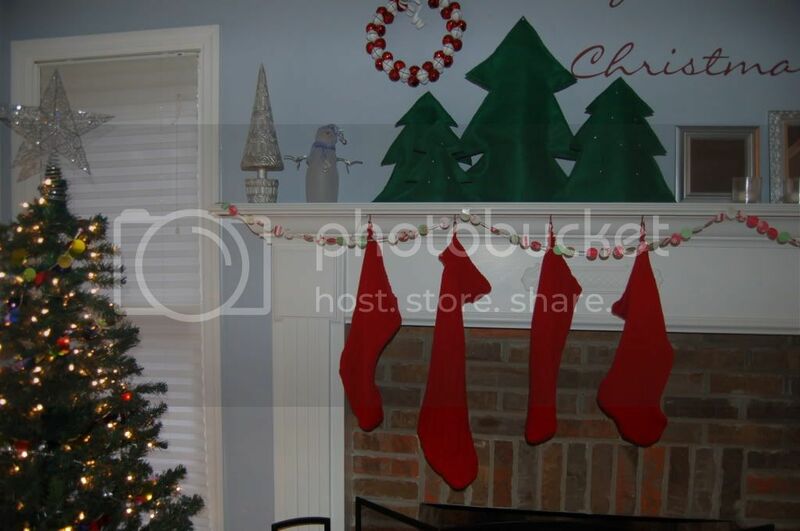 Placed a stocking down as a template. I put the opening of the stocking over the tneck as I wanted to include that in the stocking. Then I cut around it. 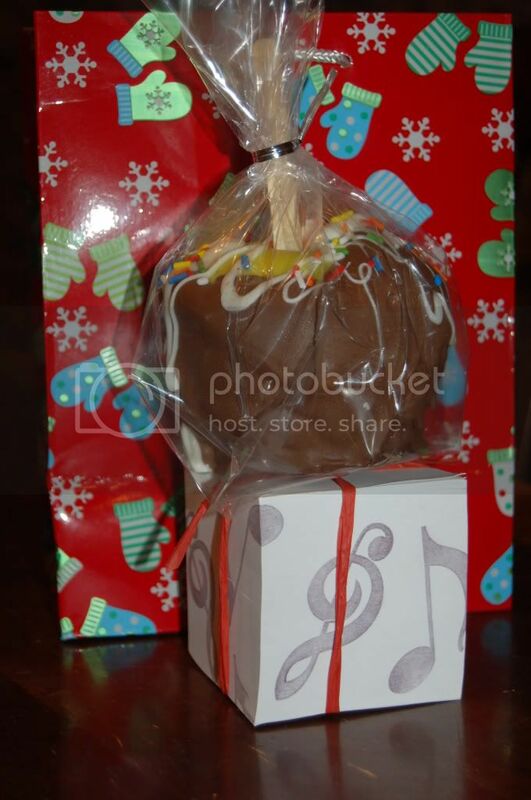 Other things....here's what we did for the kid's piano teachers. The apple and a stamped note paper cube. Also, isn't this the cutest?? Micah, my 3 year old gave this to me for Christmas. His preschool class did it. The snowmen are his cute little feet. 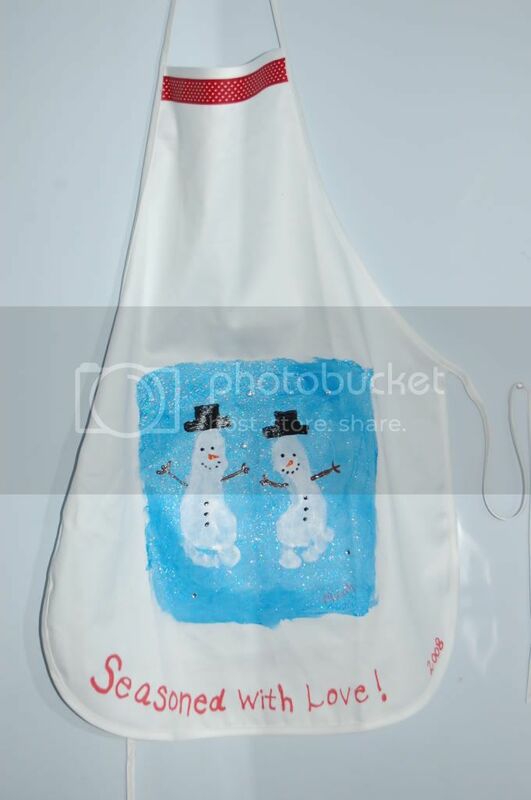 I'm sharing it, because it would make a super cute Grandma gift. 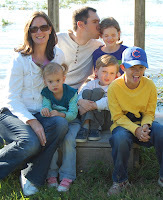 I found your blog a few days ago and just love love love it. I adore the idea of the sweater stocking and want to try it myself. Maybe after Christmas? yes, after I think. I will try our Goodwill here. I just found your blog through The Crafty Crow. You have so many great ideas!! I look forward to visiting often!